1887 GOVT. 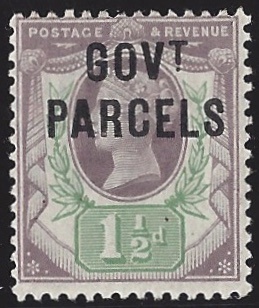 PARCELS 1½d Dull Purple & Green, SG O65, lightly mounted mint. Cat £160.